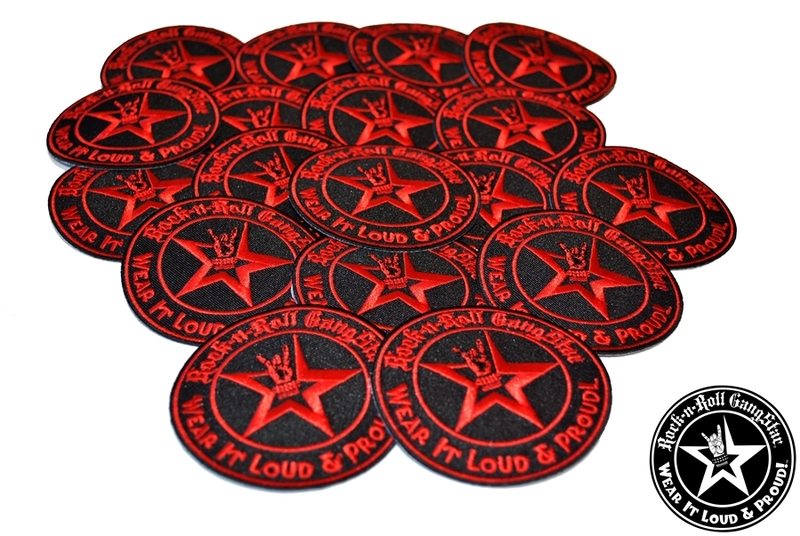 3" round red on black background embroidered patch with Rock-n-Roll GangStar & "Wear It Loud & Proud!" 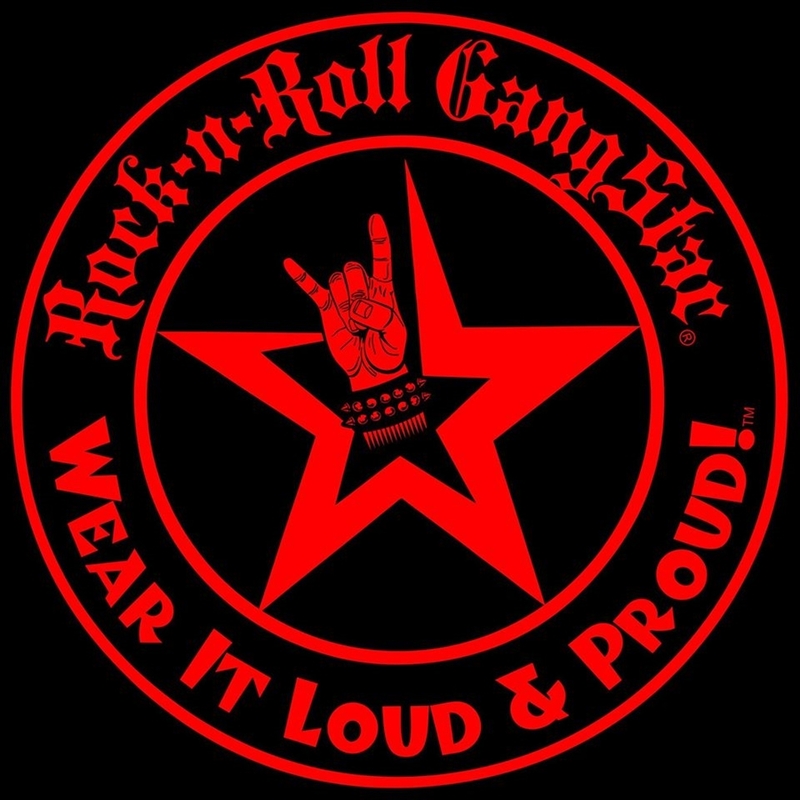 tm lettering, Rock-n-Roll GangStar brand star symbol & Rebel Emblem/Horns up gesture. 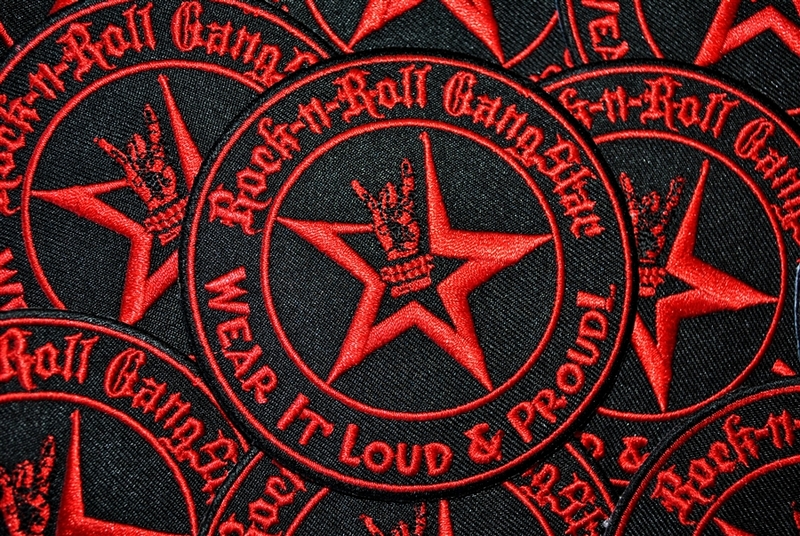 Iron or sew on your shirts, pants, jackets, or whatever you feel & show the world you stand for Almighty Rock and Roll & Heavy Metal!